This legislative session is quickly approaching its end as this upcoming week will be the final week for lawmakers to resolve quarrels and either pass or kill pending bills. 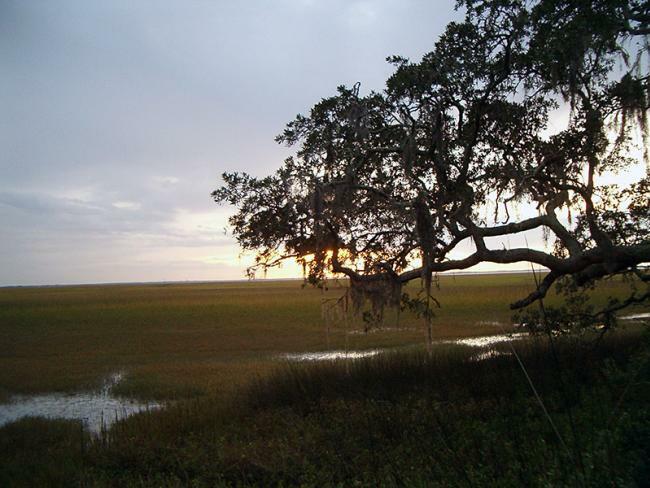 Last week saw two major victories for coastal marshlands as the House passed a much better version of the Senate’s bill amending the Erosion and Sedimentation Act to create a 25-foot buffer along coastal marshlands. The bill to prohibit bans on plastic bags failed, opening the door for coastal communities to act. Several other bills advanced, including the Craft Beer bill, the Solar Electricity Financing Bill, and the Transportation Funding Act of 2015. This the eight installment of a weekly segment looking at the bills being introduced in the Georgia Assembly that involve land use, environmental, and transportation issues. Please see the 2015 Legislative Session page for ongoing coverage. Buffer protection could soon be coming to the Georgia coastline pending approval by both the Senate and the Governor. After receiving SB-101, the bill creating a 25-foot buffer along coastal marshlands, from the Senate, the House acted to strengthen the bill by adding additional state oversight and needed regulations. While the version that passed the Senate did enact the buffer, it had a number of glaring exceptions that ultimately undermined the entire point of protecting the marshlands. House leaders addressed this by cutting a deal with the Environmental Protection Division (EPD) of the Department of Natural Resources that involves the EPD creating regulations to prevent landowners from constructing bulkheads, which would trigger an exemption from the 25-foot buffer rule. The House also added language to the bill allowing the state to review permits issued by the federal government as the US Army Corps of Engineers and the EPA ultimately have jurisdiction over the dredging of wetlands and marshlands (a Federal Section 404 permit is needed to dredge in such areas). The bill must now go back to the Senate for approval and, if approved, be signed by the Governor in order to become law. The bill to prohibit bans on plastic bags, SB-139, failed the House and is dead. This means local governments are free to enact legislation that bans plastic bags. 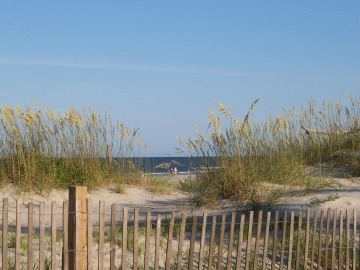 Several jurisdictions are currently discussing such legislation, including Tybee Island. Those who oppose bans on plastic bags either don’t seem to care about the environment (or the economy that relies on a healthy coastal environment), think recycling bags is the way to go, or think taxing plastic bags is a better alternative to outright bans. The latest edition of the Planet Money podcast talks about why recycling is a terrible alternative. This is because recycling is still reliant on economic factors; though you may put your plastic bag in the recycling bin, if it’s more cost-effective to put the bag in a landfill than to recycle it then it goes to the landfill. The choice is dependent on the fluctuating price of plastic and currency rates across the globe. So encouraging more people to recycle the bags is only a good choice if we mandate that bags must actually be recycled. Ultimately, the bill failed the House, by a vote of 67-85, because many felt the it was too paternalistic of the state government; if local governments feel like they should ban plastic bags, why should the state say otherwise? This idea was discussed in a previous post about the bill. We still can’t seem to shake the archaic beer distribution system in this state. The Craft Beer Bill, SB-63, which sought to update the distribution system by allowing breweries and brewpubs to sell directly to consumers, passed the House, but in a much limited fashion. Allowing breweries to also act more like bars and stores could encourage more breweries to locate in urban areas and allow them to be a more integral part of the community. After the Senate diluted the bill by 1.) maintaining the system of paying for tours and getting beer (instead of just paying for beer, as the authors of the bill intended) and 2.) reducing the amount of beer that consumers could ultimately consume on premises and purchase for consumption at home, the House added additional water. The version passed by the House removes brewpubs from the bill, thereby preventing such establishments from selling beer in bottles or cans for consumers to take home and consume. So to those of you in Atlanta who were planning on only purchasing Terrapin beer by driving to Athens and paying the brewery yourself (why rely on a distributor when you have a car? ), looks like you’re out of luck. The distribution lobby has a valid concern in wanting to prevent beer manufacturers from also controlling most or all of the drinking establishments (this is somewhat of a problem in Britain), but the alarm bells are much too loud. Allowing breweries to sell beer isn’t going to ruin the distribution system just yet. Some people will buy directly from the brewery, but almost everyone is going to purchase almost all of their beer from grocery stores, package stores, and convenience stores. This will require distributors. The bill must now go back to the Senate from approval, and if approved, be signed by the Governor. We could soon see an explosion in solar panels across the state as the Senate passed HB-57, the bill allowing people to finance solar equipment through third parties. Current law only allows Georgia Power to finance electricity, effectively preventing homeowners from financing solar power equipment. This is a problem since such equipment can easily run tens of thousands of dollars. 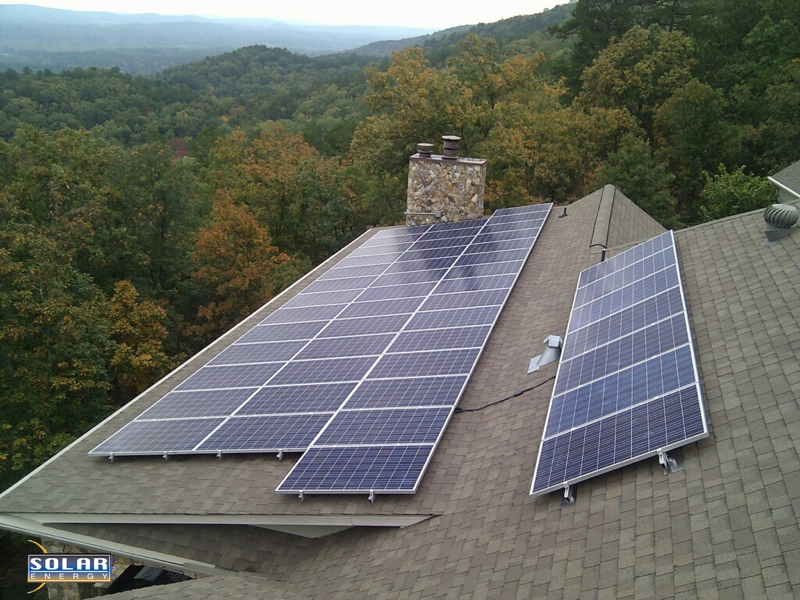 That expense makes putting solar panels on your property a questionable investment. However, if the panels can be financed, the investment quickly turns from red to black. Not only does it become a wise investment as a supplement to purchasing electricity from Georgia Power, but it also serves as a great investment for emergency situations when power is out for hours, days, or weeks. The Senate made no changes prior to approval so all we’re waiting on is the Governor’s signature. Finally, the Transportation Funding Act of 2015. It still exists and it’s still a work in progress (see Take the Money and Run). The Senate and House have both passed different versions, which is a problem because we need money for transportation. The House wants to raise the total amount of state-imposed taxes on gasoline to 29.2 cents per gallon, while the Senate wants that number to be 24 cents. Reports show that Georgia needs about $1 billion dollars in new transportation funds to maintain current infrastructure. The House version may or may not generate this amount and the Senate version will certainly fall well short of this amount. Parties will meets this week in an attempt to hammer out a compromise. In a related matter, the Senate is taking up a bill, HB-106, that would allow counties to vote on whether they want to raise the sales tax to pay for transportation needs. Currently the state legislature must approve tax hikes, but this bill would allow counties to spearhead the increase. This is another instance of the legislature taking a stand against paternalism by allowing local governments to govern themselves. The bills creating charters for the Cities of Tucker, LaVista Hills, and South Fulton are still pending in the Senate. The Urban Redevelopment Law, which maintains outdated ideas of what urban redevelopment means and was discussed in last week’s post, passed the Senate 54-2 and moves on to the Governor. HB-57: Financing of Solar Energy. Passed the House and Senate. See above. HB-21: Abolish a Population Requirement for the Creation of the Transit Systems. This bill passed 166-1 and now is pending in the Senate. HB-116 and SB-36: Prevent the Pumping of Groundwater into the Floridan Aquifer. The Senate version passed 43-3 and is still pending in the House. SB-63: Allow Brewpubs and Breweries to Sell Beer On-premises and To-go. This bill was discussed above. SB-101: Creation of a 25-foot Buffer Along Marshlands. This bill was discussed above. HB-174: Urban Redevelopment Law. This bill was discussed above. SB-139: Prohibit the Banning of Plastic Bags. This bill is DEAD and was discussed above. HB-496: Solar Panels on Lands Subject to Covenants. This bill passed the House by a vote of 165-0 and is pending in the Senate. HB-170: Transportation Funding Act of 2015. This bill was discussed above.